Houston travelers attempted to fly locked and loaded in 2018. George Bush Intercontinental Airport ranked in the top 10 last year for the most firearms discovered in carry-on bags at airport security checkpoints, according to the Transportation Security Administration. Bush Intercontinental ranked sixth, with 117 guns found in carry-on bags last year. Of those, 98 percent (115 guns) were loaded, TSA says. Federal law prohibits carrying a gun onto a commercial flight in the U.S.
For 2017, Bush held the No. 3 spot for gun discoveries at U.S. airports (142). The number of firearms found by TSA agents dropped 18 percent from 2017 to 2018. Bush, a major hub for United Airlines, ranks as the ninth busiest airport in the U.S. as measured by passenger traffic. Elsewhere in the Lone Star State, Dallas/Fort Worth International Airport and Dallas Love Field ranked in the top 10 last year for the most firearms discovered in carry-on bags at airport security checkpoints, according to the Transportation Security Administration. 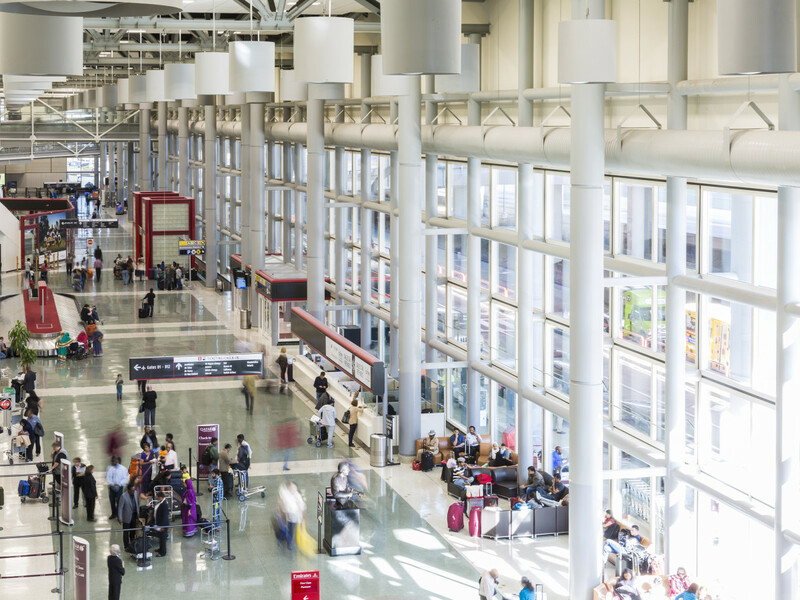 DFW came in second, behind Hartsfield-Jackson Atlanta International Airport, with 219 firearms found in carry-on bags in 2018 by agents working for the TSA, the federal agency reported. Eighty-eight percent of those guns (191) were loaded, TSA says. DFW, a major hub for American Airlines, is the fourth busiest airport in the U.S. as measured by passenger traffic. At Dallas Love Field, TSA agents recovered 89 guns from carry-on bags last year. Of those, 93 percent (83 guns) were loaded, according to TSA. Overall, Dallas Love Field ranked ninth for gun discoveries. DFW repeated its No. 2 ranking for firearm discoveries from 2017, TSA says. However, seven fewer guns were found last year compared with 2017. Dallas Love Field ranked eighth last year for guns discovered in carry-on bags. Four more firearms were found there in 2018 than in 2017, TSA says. Aside from DFW and Dallas Love Field, two other Texas airports showed up in the top 10 for the discovery of firearms in carry-on bags. Meanwhile, Austin-Bergstrom International Airport ranked eighth, with 93 guns found by TSA agents in carry-on bags in 2018. Eighty-two percent of those guns were loaded (76). ABIA didn’t appear in the top 10 for 2017. Among all U.S. airports, TSA agents found a record-setting 4,329 guns in carry-on bags last year, up 7 percent from 2017. Of those firearms, 86 percent were loaded, TSA says. TSA says you can carry an unloaded firearm when you’re flying on an airline, but only if it’s stored in a locked hard-sided container in a checked bag. Guns, loaded or unloaded, aren’t allowed in carry-on bags. Ammunition also must be kept only in checked bags. On its website, the Fort Worth-based Medlin Law Firm says it’s not unusual for a traveler to have simply forgotten that a legally owned gun is in his or her carry-on bag. For someone to be found guilty of unlawfully carrying a gun at an airport, he or she “must intentionally, knowingly or recklessly carry that weapon,” the firm says. Under that provision, many criminal charges in such cases are dismissed because the gun owner merely forgot the firearm was in a carry-on bag and did not mean to bring it aboard a plane, according to the firm.